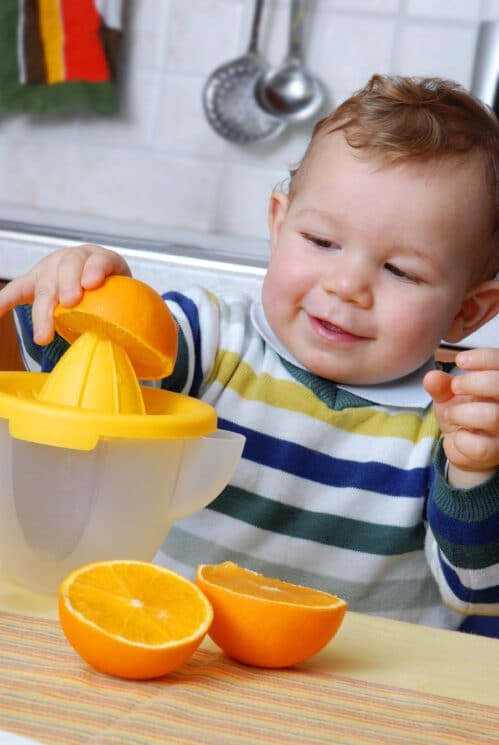 Your toddler may seem like they need to eat all day long! And that is because they kind of need to. Keeping reading to find out why frequent healthy snacking for toddlers is so important. The term “snack” often means different thing to different people. For some, snack is synonymous with “junk food”. And while there’s room for fun food occasionally, we should be focusing on nutritious foods for our snack time to fill in the nutrition gaps. And here’s why: It’s hard to fit in all of the nutritional needs for a toddler into only meal times. Their bodies are growing and developing so fast that they need nutritious fuel to help them grow. 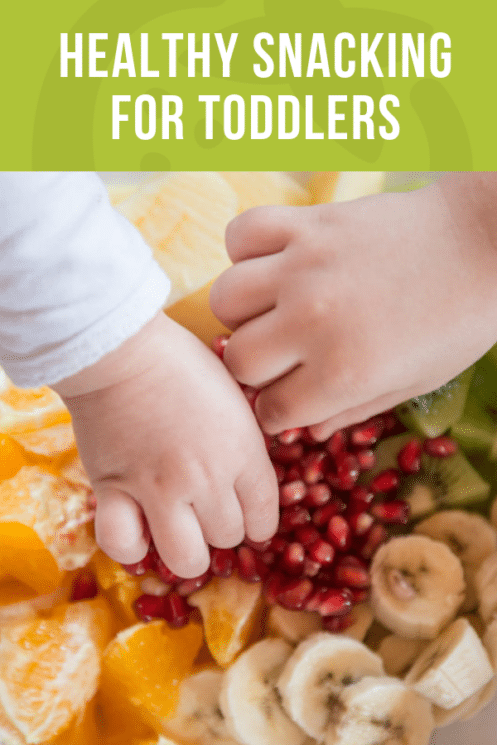 Toddlers generally need 2 snacks a day in addition to their 3 regular meals. They will also need to eat about every 2-3 hours. This may be an appropriate eating schedule for your toddler. What If My Toddler Won’t Eat? Often toddlers will refuse some foods at snacks or meals. But don’t worry, if they won’t eat at one meal or snack, the next opportunity isn’t too far away. Your job as the parent is to offer the healthy foods at regular times and your child has control of how much they choose to eat. Snacking also doesn’t mean eating when ever the mood strikes. Snack times should happen at about the same time each day. And when the inevitable “I’m starving” phrase pops up, you as the parent can decide if they can wait until the next meal or snack, or if they need food right away. What Makes a Balanced Snack? It’s a great idea to include fruits and veggies as well as protein into your snacks. Whole grains are also a great addition. Snack time is a time to pack in extra nutrition that you child might not get in their regular meals. This means that we need to focus on nutrient dense foods (foods that have a lot of nutrition for the amount of calories they have). A balanced snack should include two or more food groups. Some examples of what this might looks like? and start there. Pretty soon you can add in new and different ones. 3. Make a plan. When you’re digging through the cupboard and the kids are whining, it’s easy to grab some crackers and fruit snacks to make them happy. 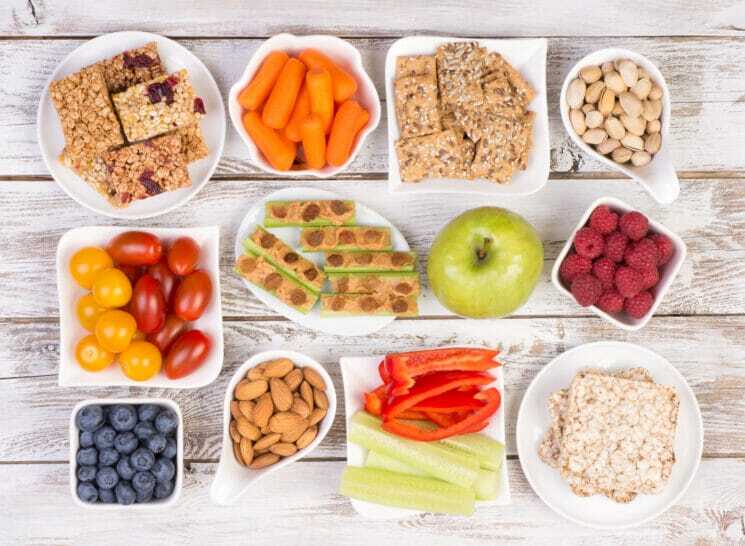 But if you have a snack plan in place, it’s a no-brainer to pass out healthy snacks instead. 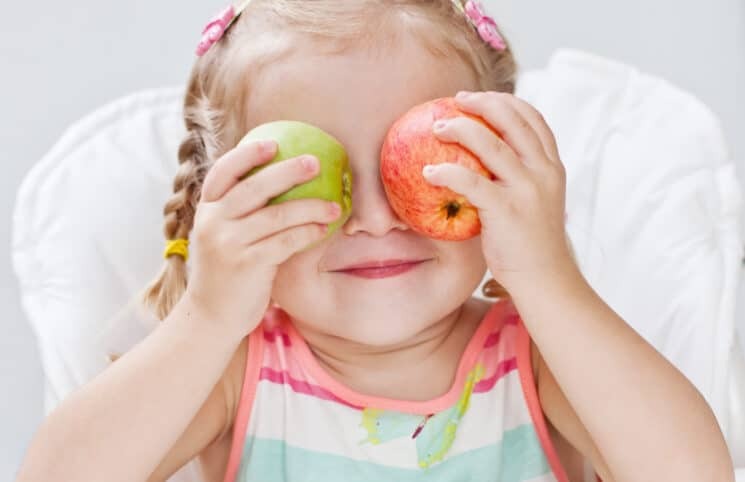 kids to choose their snack and keep it healthy at the same time. 4. Involve the little ones. Complaining kids are no fun, but if we involve them in planning and preparing they are much more likely to enjoy and eat what we are serving. Give them a few simple guidelines (such as the snack must have a fruit or vegetable in it) and let them be creative and have fun! Kids love to be involved with the food they eat and it’s a perfect time to help them learn to make good food choices along the way. So next time you hear “I’m starving”, you can tackle the situation with confidence. 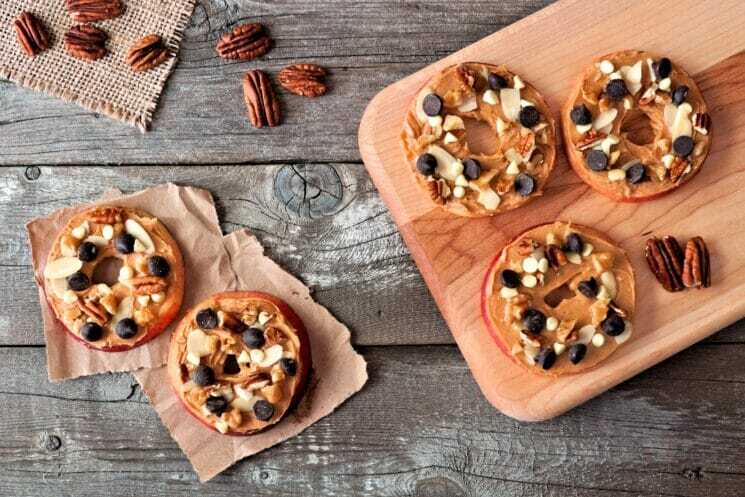 With these 4 tips, you’re well on your way to healthy snack time! 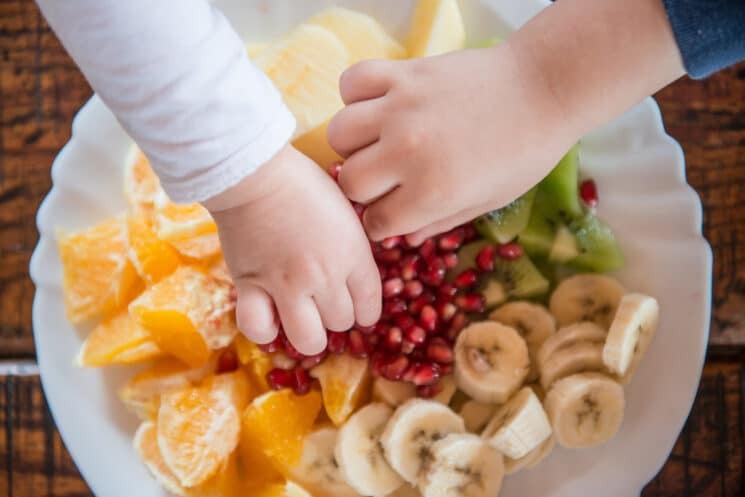 Having good healthy snacks prepared ahead of time will help to make sure that healthy snacking for your toddler is something that happens everyday! It is so satisfying to see your kids eat and enjoy healthy foods and have energy to play, strong immune systems, and happy attitudes. This is a great article, and I love the nutritious ideas. However, I would like to bring to your attention the concern about popcorn and toddlers. As an Injury Prevention nurse, this is one of the items we do NOT suggest for toddlers. As a matter of fact, the American Academy of Pediatricians has increased the recommendation to age 5 for popcorn, as it still poses a choking hazard for younger kiddos. But, thanks for your excellent articles and suggestions – I really love this site!